Shopping for Mighty Mouse Bed and Bath? Enjoy this small, but mighty hero with this Mighty Mouse Space Hero Woven Tapestry Throw Blanket. This iconic superhero is featured in full color and in action! 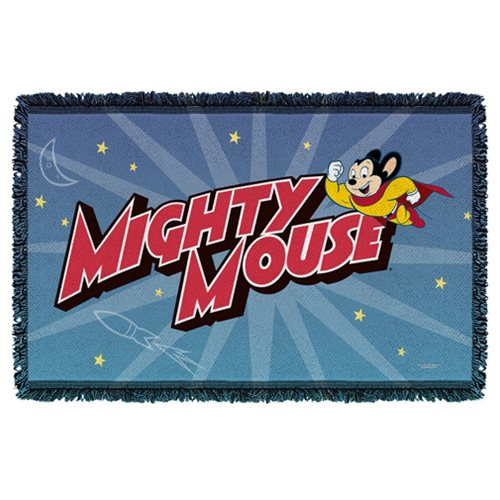 Perfect for the home or wall, this Mighty Mouse Space Hero Woven Tapestry Throw Blanket is a great addition to any classic cartoon collection!